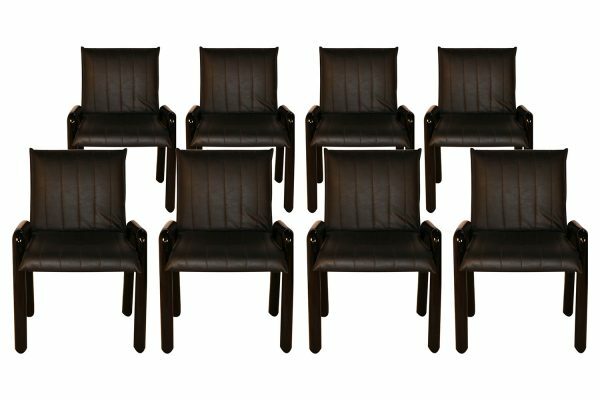 A rare and extraordinary set of eight “Dilos” dining chairs designed by Guido Faleschini circa 1980s and produced in Italy by i4 Mariani for Leon Rosen’s Pace Collection. 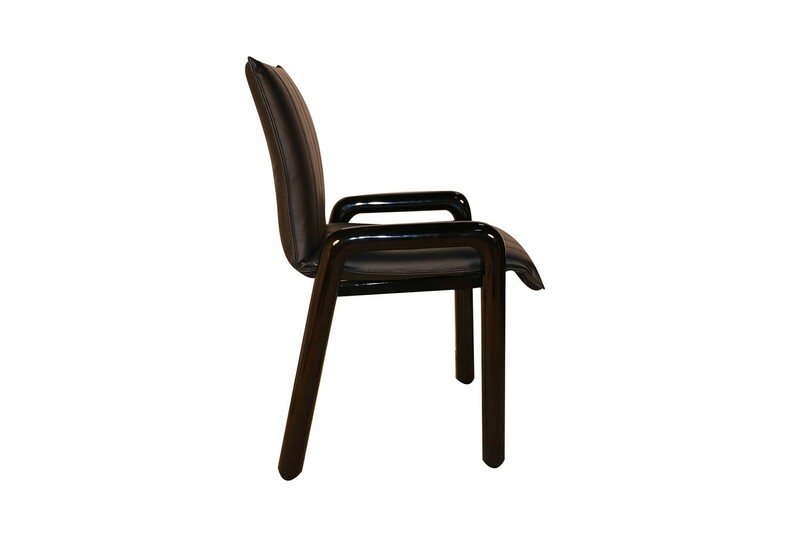 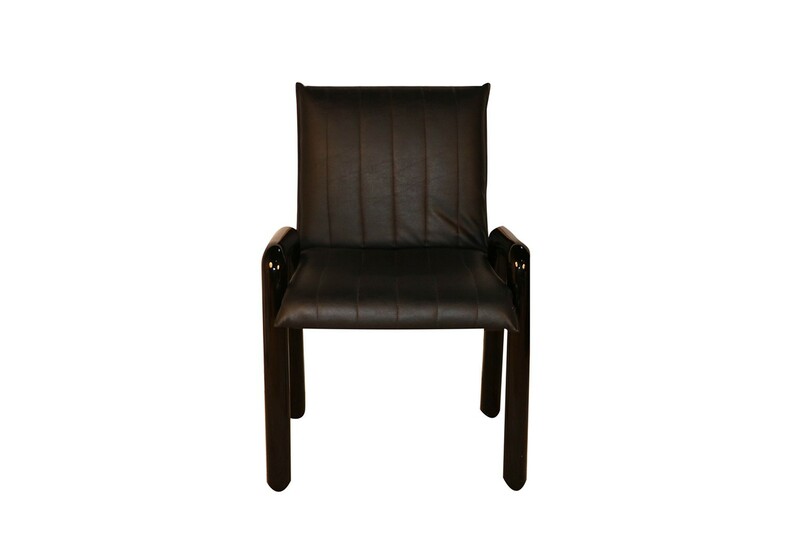 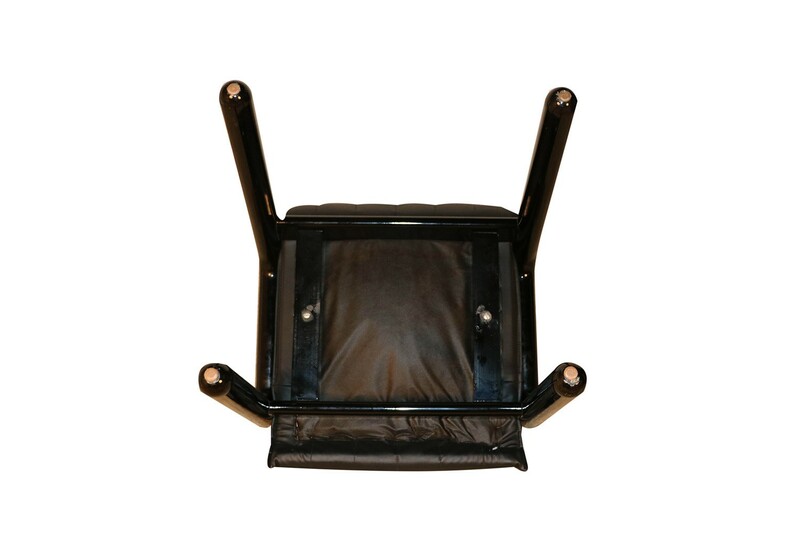 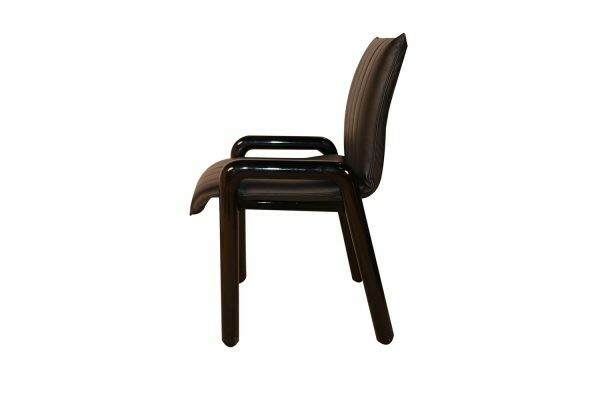 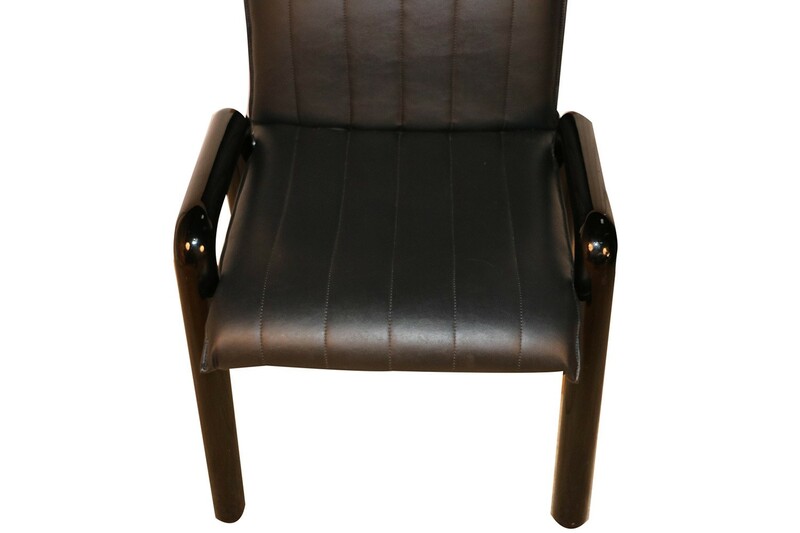 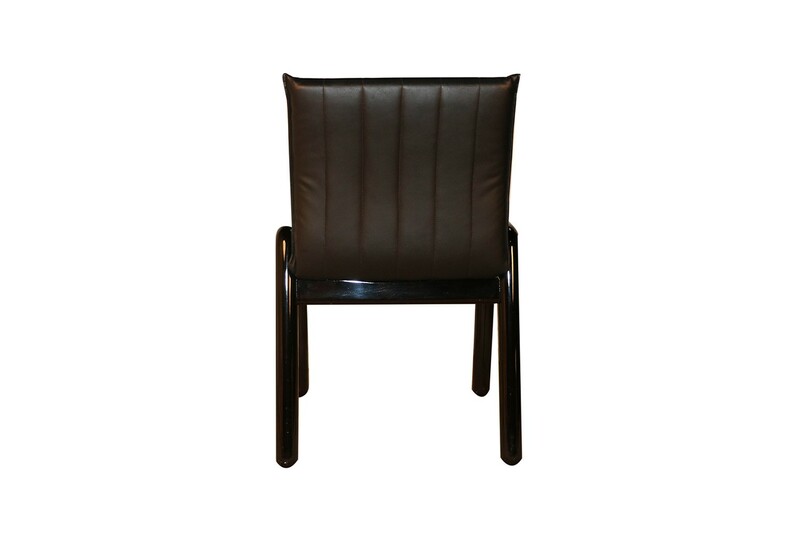 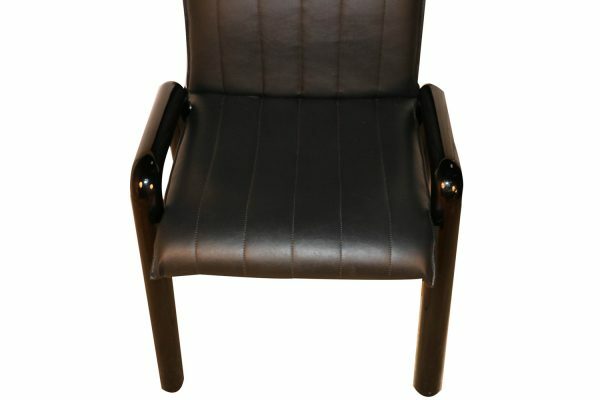 Featuring the original black leatherette upholstery with sturdy black lacquered tubular frame and legs. 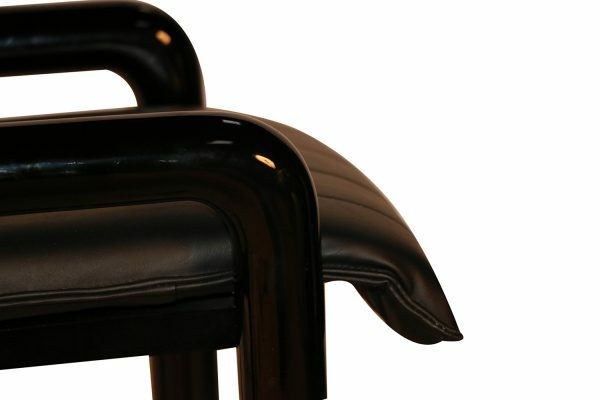 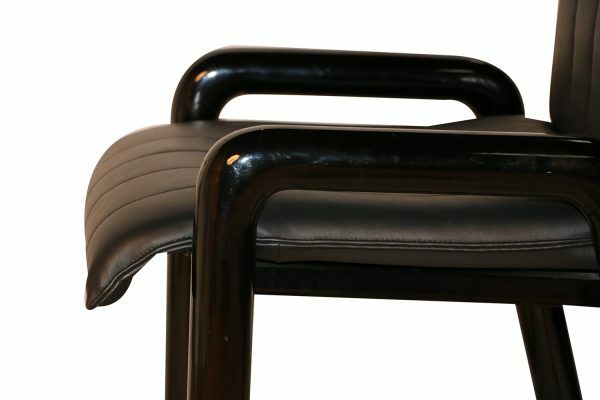 The elegantly curved, sleek armrests sit low while providing support and a nice contrast to the upholstery. Attractive stitching divides the back and seat vertically into 6 channels, creating stylish detail and dimension. 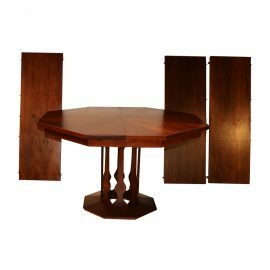 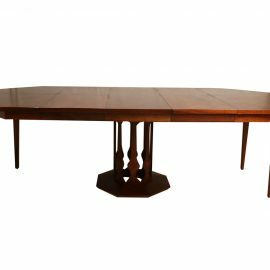 Great profile and easily repositioned, they make an elegant modern statement as dining chairs, side chairs, desk chairs, or for a conversation area in a large room. 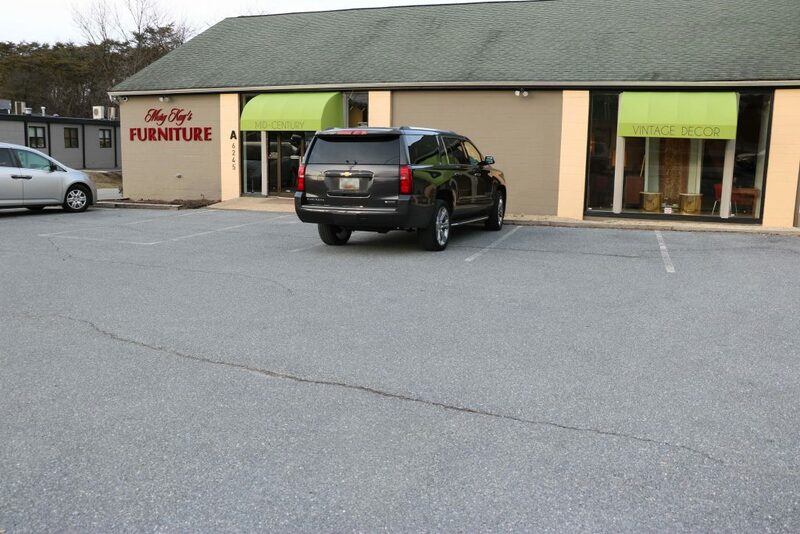 The clean lines and rich black leatherette will lend a touch of sophistication to any space and blend easily with many décor styles and color palettes. Also available a matching set of four sold separately. 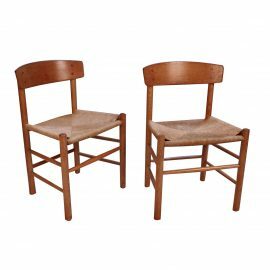 An exceptional pair of vintage oak Borge Mogensen chairs model J39 produced by FDB Mobler, Denmark, designed in 1947 and produced in the 1970s. 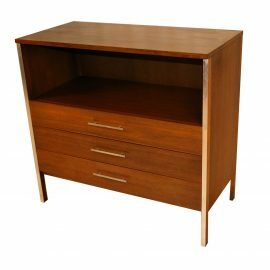 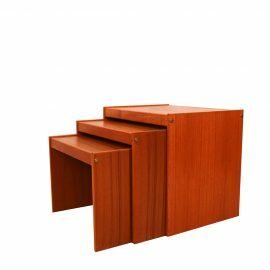 Exceptionally well crafted Set of three Mid Century Modern nesting tables by Nordisk Andels Eksport made in Denmark.